Losing weight through dieting is not impossible. But a diet that you adopt for a month and abandon right after won’t work in the long run. You need to stay on the right diet for a long time in order to maintain your weight and lose the extra weight. 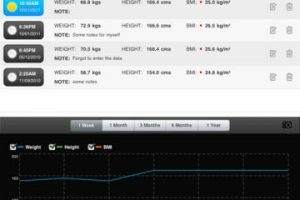 Apps such as Tracker2Go make it easier for you to stay on track. It gives you access to a large database of food items and helps you come up with a diet plan that works for you. Tracker2Go does not require you to be connected to the internet to use it. It tracks what you eat and suggests a personal diet plan based on where you are and where you need to go. 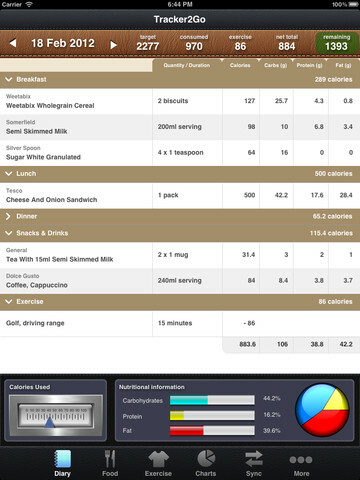 It covers over 92500 food items, so your diet will most likely be covered in this app. You can count calories and track your workouts in Tracker2Go. The more you exercise, the more calorie credits you get. 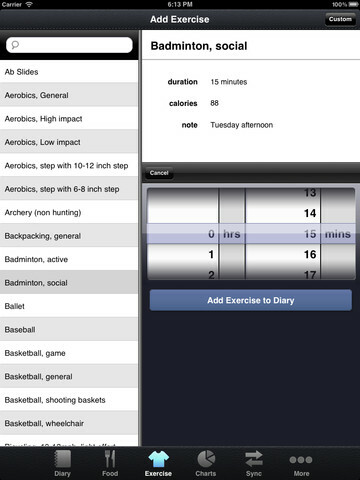 Tracker2Go for iPad syncs with the Perfect Diet Tracker for desktops. The app has a huge database of foods and offers a smart search that learns as you use it. As long as you stay on your diet and exercise, there is no reason you can’t lose weight with the help of this app.